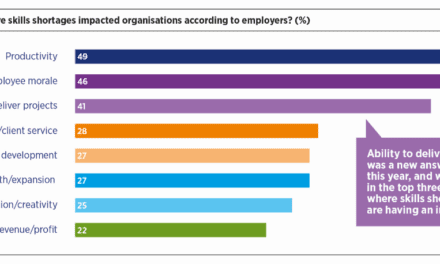 Manufacturers and institutions alike are recognising that it is high time that attitudes among young people towards STEM (Science, Technology, Engineering and Mathematics) subjects and careers. Over the next four pages, we present a round-up of a selection of initiatives and stories from across the country. Did you know the British Army is the largest apprenticeship provider in the UK? 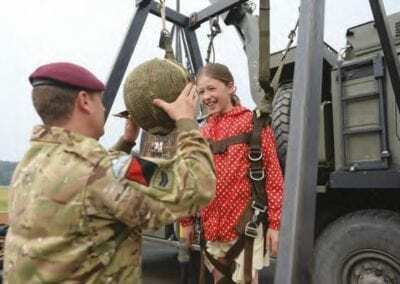 It currently has around 14,300 soldiers training and working across 43 programmes. 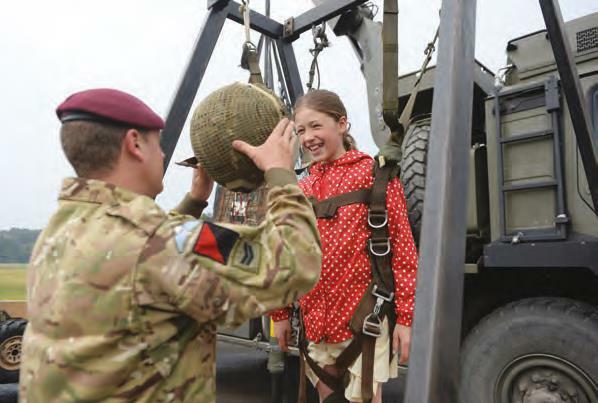 Individuals get the chance to gain qualifications and skills that benefit themselves, the Army as an organisation and, ultimately, the UK’s workforce generally. 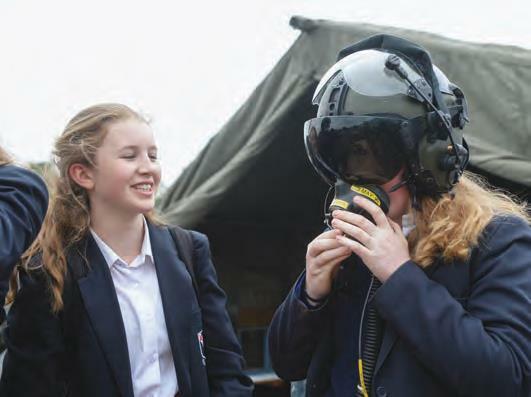 The Army’s STEM Careers event specifically sought to expose young teenage girls to the possibilities of careers in STEM across a range of disciplines. 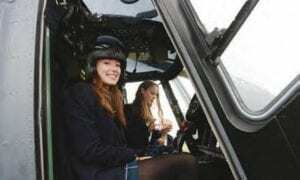 The Army’s event enabled the girls to get practical experience of STEM challenges in action and to find out what it feels like to pilot a helicopter! 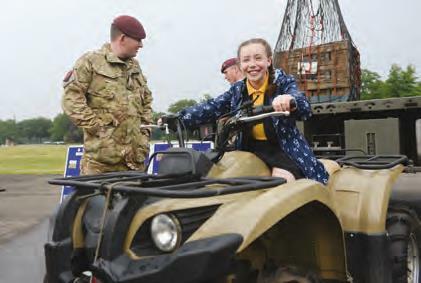 The extent and reach of STEM-related activities and employment across the Army is vast. 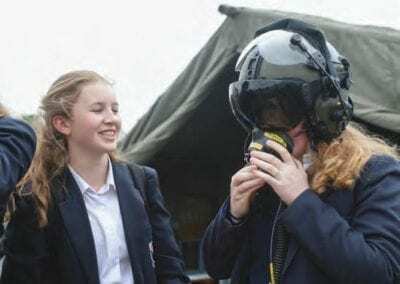 More than a quarter – 28 per cent – of the recruits that enlist in the Army every year will be trained to be STEM specialists in one of the technical corps. The Army delivers on-the-job training throughout a soldier’s career. It teaches them skills that are wholly transferable back into civilian occupations, once their military service comes to an end. But there has been a gap. Women are now very much part of today’s Army but they have been under-represented in STEM roles. The Army is not an organisation to sit back and accept such a situation; it set out to do something about it. 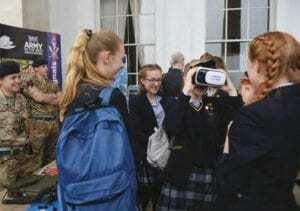 In 2018, the British Army – with industry partners – ran a STEM Careers event for young teenage girls at the Royal Military Academy, Sandhurst, to celebrate the decision to make all jobs in the Army open to women. 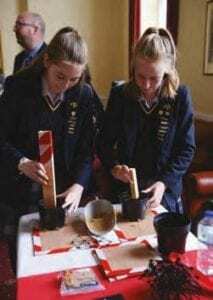 The event was intended to empower girls in their early teen years to feel that they have a future in STEM. This is the age when girls have low confidence levels and, by unavoidable coincidence, when they are required to choose their future options in school. 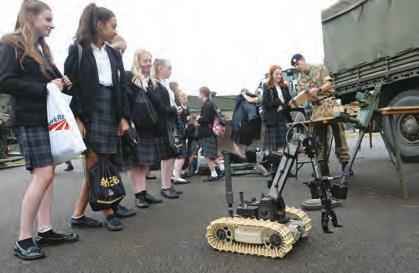 Around 900 schoolgirls from across the country interacted at industry, business, education and Army STEMbased stands. 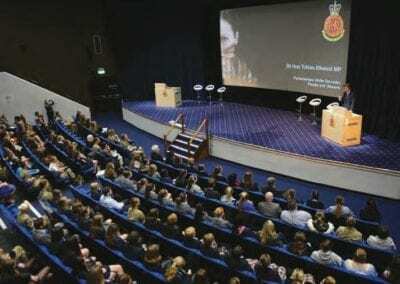 The young women were inspired by keynote speakers and escorted around by female STEM role models from the Army. 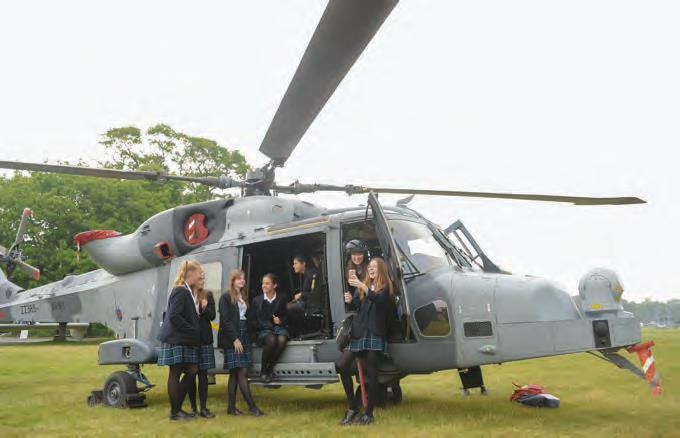 The event was a unique experience, which enabled the girls to get up close with engineering in application, from electronic tech through to helicopters and heavy plant – and all in the historic and grand location at Sandhurst, the Officer training establishment. The interactive exhibits ranged from Airbus to Caterpillar, from Dell to the London Fire Brigade, and from Ernst and Young to Jaguar Land Rover. 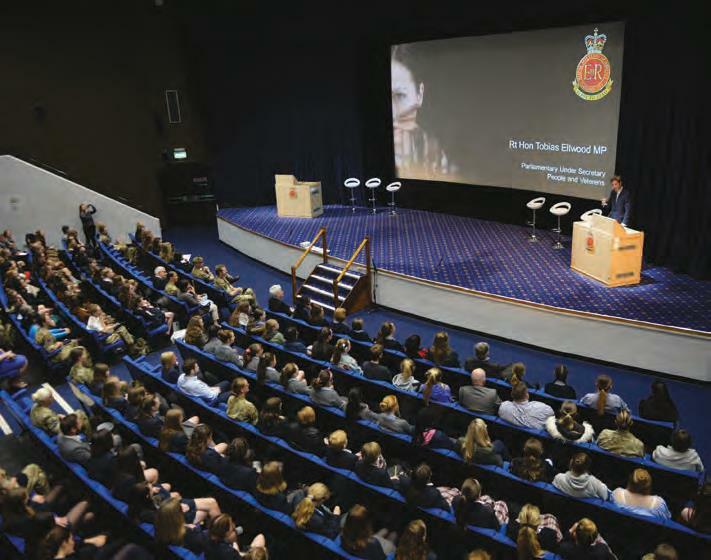 Since January 2018, the Army has held over 70 separate events and engaged with more than 9,000 young people, teachers and parents. 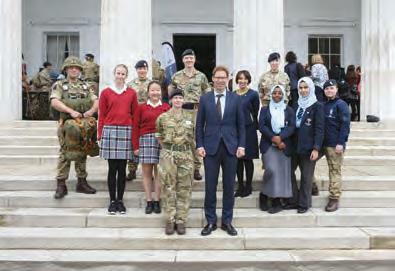 The STEM Careers Event at Sandhurst received amazing feedback from the schools and even made the front page of the Daily Telegraph. 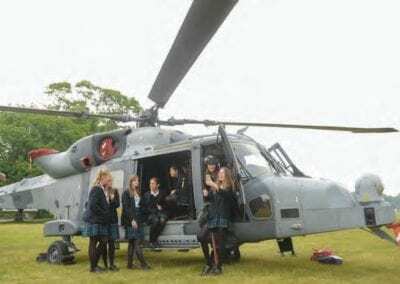 The organisers are planning to hold a second STEM Careers event for young teenage girls and an additional co-ed day as well, in order to reach to reach more children in 2019. 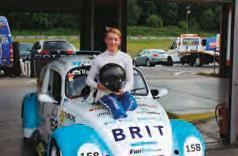 Just over a year after a horrific, 120mph crash during a Formula 4 race at Donington Park, England, led to the amputation of both his legs, young racing driver Billy Monger drove a Formula 1 car – a specially-modified a Sauber C30 built by Tour-De-Force Power Engineering for Heritage F1 at the Rockingham Motor Speedway in Corby. Billy at Brands Hatch in July 2017.
with Carlin Motorsport in Formula 3, finishing 3rd in his first race at Oulton Park in March 2018 and taking his first Pole position at, of all places, Donington Park in September. The year finished with the presentation of the Helen Rollason Award at the BBC’s Sports Personality of the Year show in December 2018. The entire crowd rose to its feet as Billy walked, unaided, to the stage to receive recognition for his inspirational performance since his crippling accident. Burnley-born Susan Scurlock, CEO and Founder of Primary Engineer and its wider programmes, was awarded an MBE for services to Education and Engineering across the UK in the 2019 New Year’s Honours List. She described herself as ‘absolutely thrilled’. 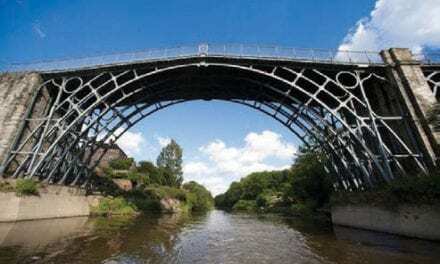 Primary Engineer’s programmes, which connect schools, universities and engineering organisations, include day-long teacher training courses, a Masters’ Level Postgraduate course, celebration events and an annual competition. During 2018 alone, Primary Engineer directly engaged with nearly 60,000 children and more than 2,000 teachers, and launched the Institution of Primary Engineers and Institution of Secondary Engineers. The MTA TDI Challenge final, held at Yamakazi Mazak’s European headquarters in Worcester, attracted hundreds of entries from students following GCSE, A-Level or BTEC Design and Technology Courses all over the UK. Vivika Martini from Highgate School, North London, won the 14-16 category with her bike-mountable Wind-Powered Charger, aimed at long distance cyclists who need to keep their phones charged while in remote areas. Shrey Shah, also from Highgate School, was placed second with his smartphone-controlled Internet of Things Pet Feeder. Third was Daniel Martin of Whitgift School’s Bike Storage Device. Winner in the 17-19 age category was Robbie MacIsaac, Strathallan School, Perth, Scotland. His FLUX Blowpipe design reduces the amount of moisture that gathers in bagpipes’ blowpipes when performing. Aashi Srivastava from Henrietta Barnett School took second place with her Attachable Support Unit for Primary School Chairs, aimed at improving the comfort of children suffering from cerebral palsy. Third was Harry Bolton of Keswick School, with his Off-road Running Shoe. The winners in the group category were team CycleLight, from Sutton Grammar School, who had developed illuminated cycling clothing. Close Brothers Asset Finance sponsored the TDI Challenge 2018. Winning schools in each category receive £2,000 of credit to spend with Technology Supplies Limited, with second and third-placed schools receiving prizes of £1,000 and £500. 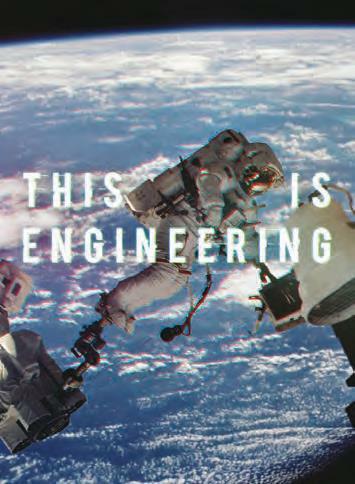 The Government’s 2018 Year of Engineering campaign gave young people over a million direct experiences of engineering; and a positive attitudinal shift towards careers in the industry is already being seen. Key to the campaign’s success was working with industry partners and inspiring engineers like Dr Matt Dickinson (right), course leader of Computer-Aided Engineering at the University of Central Lancashire. “In December I joined schoolchildren at the Marvel Avengers S.T.A.T.I.O.N. in London to help launch a collaboration between Marvel and the Year of Engineering – an online aptitude test which shows children how the skills and talents that might make them into an awesome Avenger could make them into an equally amazing engineer. 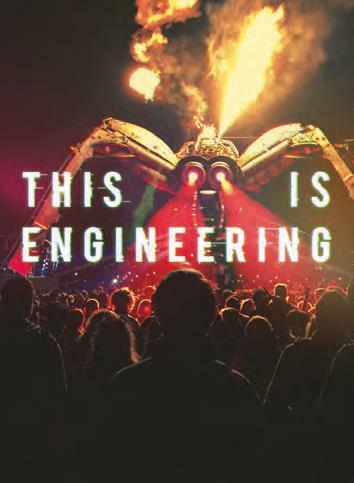 “Events like these can really inspire young people about topics that might otherwise be considered too advanced, such as electromyography, or as we called it on the day: ‘controlling machines with your muscles’. 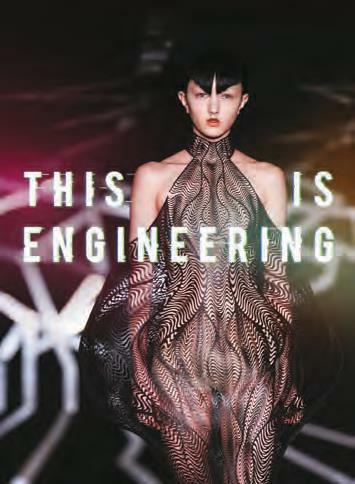 To find out more about the 2018 Year of Engineering and how Government will be working with industry to inspire engineers in 2019 and beyond visit yearofengineering.gov.uk. Jamie Costello, Sutton Grammar School, wins the 2018 David Clark Prize – Sir John O’Reilly presents. Jamie Costello, physics teacher and head of science at Sutton Grammar School in South London, has been awarded a £5,000 prize for his school in recognition of his promotion of engineering. In September 2017, 25 per cent of Costello’s students at the “outstanding” Ofsted-ranked school went on to study engineering-related courses. 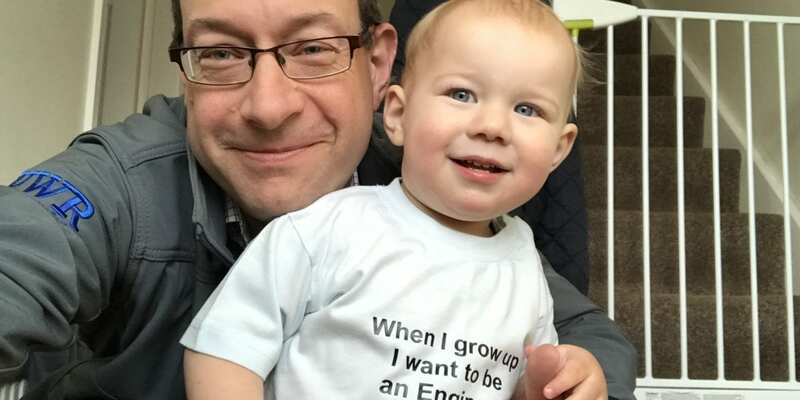 Costello was recognised by the ERA Foundation (ERAF) with the David Clark Prize, which recognises a teacher who has done something exceptional to encourage interest in engineering in schools. 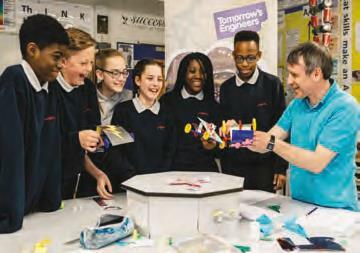 Among his activities were running voluntary projects like designing and making an ocean drifter device and founding Sutton’s branch of the Big Bang Fair, an education outreach event, which recorded 1,000 visitors last year and expects the same number in July. 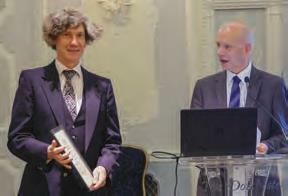 Costello was nominated for the prize by the Smallpeice Trust for his work for The Arkwright Foundation. It is not only with customers and internally that Sandvik Coromant gains and shares knowledge, UK marketing manager Kim Olander, explains. The company has several collaborations with schools and universities around the world. “This is a way for us to be part of research and studies compiled by young, passionate students, as well as being able to offer training and internships at our facilities,” he says. 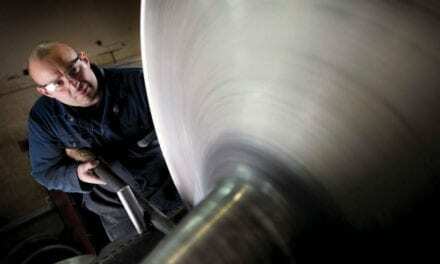 Apart from sponsoring seminars and courses and providing guest professors at universities in UK and China and having its own high schools in Sandviken and Gimo, Sweden, Sandvik Coromant has also developed an extensive and industry-unique e-learning programme, Metalcutting Technology, launched in 2012. The web-based introductory course to metal cutting is brand-neutral and open to anyone – from new employees, customers and operators to schools and universities. On average, some 12,000 people complete the online programme each year, and several learning institutions use it as part of their curriculum. “Why reinvent the wheel when the knowledge is right there, available 24/7 and free of charge?” Olander says. As the older generation retires, the industry is facing a competence skills gap. Sandvik Coromant sees the importance of sponsoring activities outside the lecture hall as well as within it, aimed at creating interest in the manufacturing industry as a whole. Elliot has been given large responsibilities leading maintenance teams both inside and outside of work. He has improved and documented maintenance procedures that will be used by future technicians and is fully involved on the Health, Safety, Environmental and Quality committees. Elliot redesigned and managed a process to improve the company’s manufacturing process steam supply, making considerable savings and quality improvements. Ryan has gained a number of awards locally and nationally during his apprenticeship. He impressed everyone in all his placements and projects and has gained a growing reputation across all levels of the business. Ryan has performed well under tremendous pressure as an apprentice and in very difficult circumstances at times. As Regional Winner at the Future Manufacturing Awards he will compete in the finals at the end of January 2019. Emilie is described as “A very well rounded engineer, very professional, highly organized, decisive, technically strong background and a very quick learner.” She has successfully led a number of projects, particularly an in-depth analysis of oil consumption, delivering on time to the chief engineer. Tobias has gained distinctions in his HNC and gained two college awards. He has made tremendous progress within his training and moved from an advanced apprenticeship to a higher apprenticeship, and demonstrated a clear career path in the short and medium term. As a winner of numerous awards he is a proven Apprentice Ambassador. His extensive work within the community led to him being nominated to attend the wedding of His Royal Highness Prince Harry and Meghan Markle. Nia exceeded company expectations and has been promoted to a new engineering position after completing her apprenticeship 6 months early. She has been able to confidently demonstrate that she have taken every opportunity, both academically and at work, to shape the structure of her apprenticeship. Completed projects helped significantly to reduce downtime in high volume production lines. She successfully led a project introducing into production a critically important laser marking system, on time and within budget, attracting interest from other sites.